On Saturday, I cheerfully announced to my family that I had signed us up for a potluck socialising event with Aarhus Spouse Community members, as part of my New Year’s resolution to socialise and network more. As the introvert that he is, my husband asked if there was a way of him staying home to watch our two sons, while I went out to have fun without the distraction of our sons running around on a sugar high. Well, none of my clan was flacking out of this one. As a parent, it is always easy to come up with a ‘valid’ excuse for flacking out of social events. The easiest way is to claim a safe but believable sickness befalling their child, then touch wood it doesn’t come to happen. Most adult hosts would rather not have a sick, feral, puke throwing, child around, to ruin a cosy party. I digress. The Spouse Community Aarhus event that we were attending was open to both children and parents. Organisers had requested that each guest bring a home-country inspired meal to share with the other international attendees. 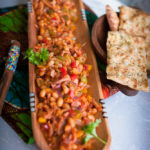 Making the usual Kenyan snacks of either mandazi or mahamri (fried dough), samosas, or meals like ugali (cornmeal), pilau or chapatti was not inspiring enough. I was looking for something unique and not restrictive to Kenya or East Africa. 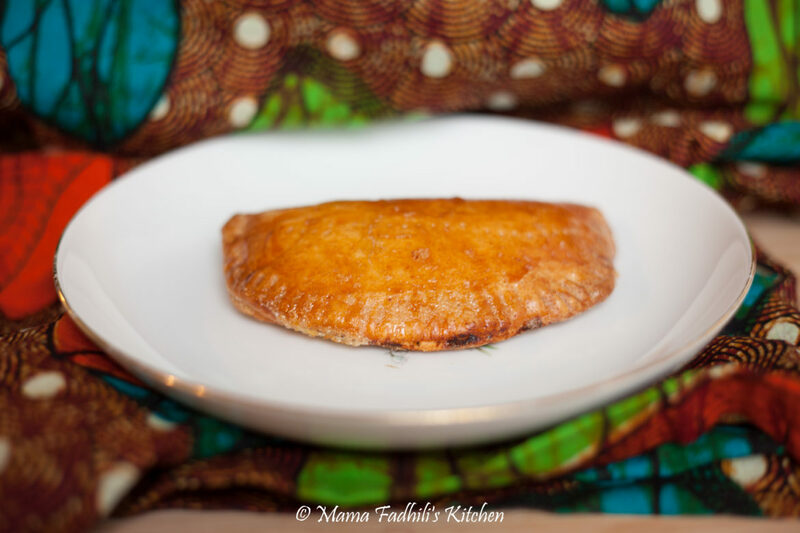 To solve my dilemma for an African inspired potluck treat, I embarked on a search for recipes which led me to West Africa, to the land of Meat Pies, which although common in Kenya are more popular in Ghana and Nigeria. Recreating the original recipe from Immaculate Bites with beef and Kenyan spices was such a fine experience. I also learnt of the versatility of meat pies, for example, you can use any filling – to the taste of a vegan, vegetarian or omnivore. Doesn’t matter, the pies will still turn out delicious. In this case, the final result was a delicious, flaky, savoury crust with a spiced beef filling. 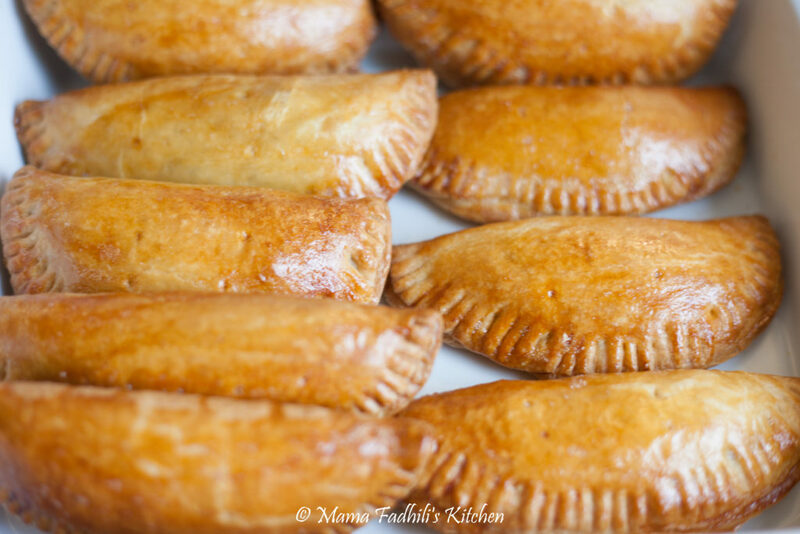 This version of Kenyan meat pies became an instant hit at the potluck lunch. Finally, another resolution is to recreate more recipes and shoot quality photographs. My goal is encourage others to pursue their hobbies, and perhaps, turn them into careers. To recreate this recipe, please don’t over knead the dough, the butter incorporated shouldn’t melt. This step will be what ensures that the crust when cooked with turn out crusty and not too flaky. I refrigerated the cutout dough shapes overnight and only removed when it was time to add the filling and bake. This extra step made a big difference in the final flavour and texture. 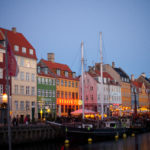 I read an article of yours and felt so blessed to see a fellow African woman writing about life in Denmark. Keep up the good work dear, you make us proud. Hi Nerea, thanks for your kinds words, and for stopping by my blog. You can write to me on my ‘Memoirs of a Kenyan Abroad’ Facebook page.